...like I need a hole in my head, but its almost like deals are falling out of the sky in front of me. 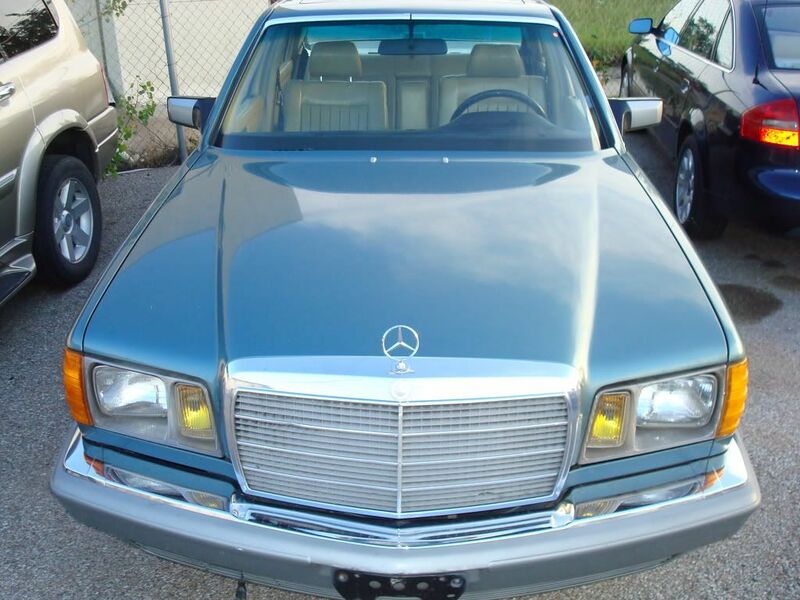 Today it was a W126 I came upon sitting on trade row of a high end used car dealer that my parents service their vehicles at. I was immediately stunned by the Petrol Blue color that matched Ol' Turbo and the overall condition. The paint and body are in good condition, though I did find a small bubble or two forming in the fenders. 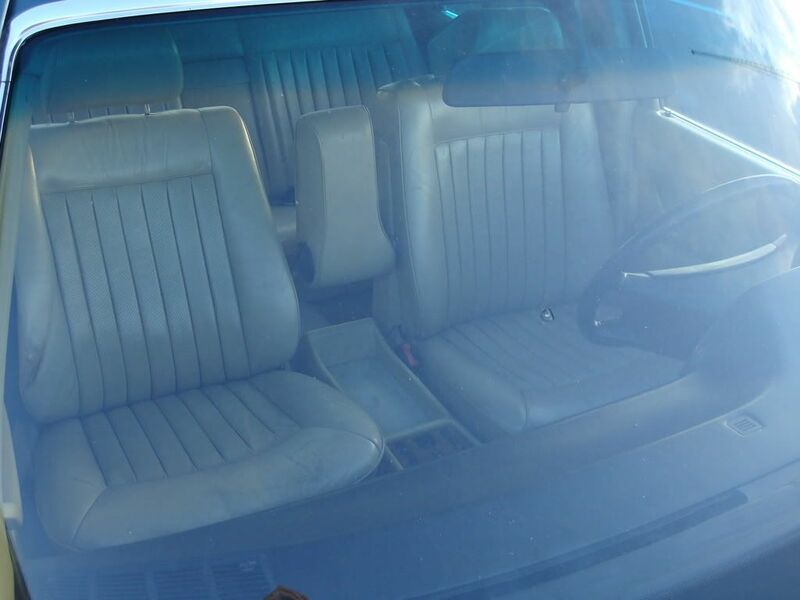 The car is dirty, light interior is in good shape, but grimy. Odometer was showing 280k. 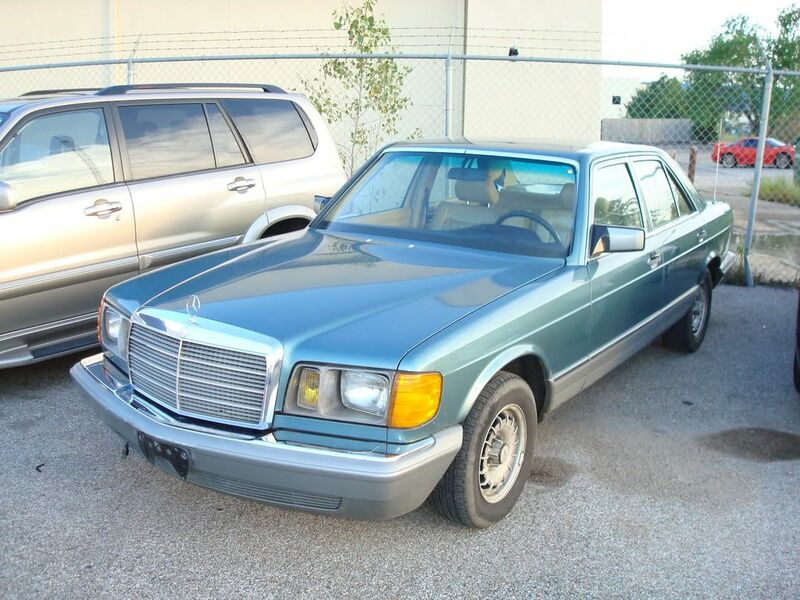 When I inquired about the vehicle, they told me it was a single owner elderly couple that just traded it in for a C240. The rather attractive saleswoman that made the transaction (though she had a manly voice) escorted me back with the keys. The test drive was also quite encouraging. Smooth shifts, cold Air-conditioning, no smoke after my initial romping. What I found to be inoperable was the drivers power seat, power antenna, right rear window, and, intermittently, the tachometer. Upon returning, I checked the glove box for any P.O records; it was filled to the brim! On top was a $4,500 bill in 1997 for a new engine. According to the receipt, the motor seized after catastrophic oil loss and was replaced. That explained the lack of blowby. Other receipts offered encouraging maintenance work over the years. The other surprise was found in the trunk: An auxiliary fuel tank. I didn't notice 2 separate fuel lines, and couldn't figure out its purpose. The icing on the cake: I made an offer of $1,000 to which they countered with $2,000. I can probably make off with this car somewhere in the middle. I'm off to take pictures for everyone, and try and haggle a bit more out. Wish me luck! Good luck man! I wanna see pictures! Now don't you wish you could have gotten it for the pennies they gave the old lady? I wouldn't go above $1,500, or whatever they are going to get at the auto auction. The dealer was closed, and the SD locked up tight. I still snapped a few pictures for everyone's viewing pleasure, but no aux. fuel tank shots. 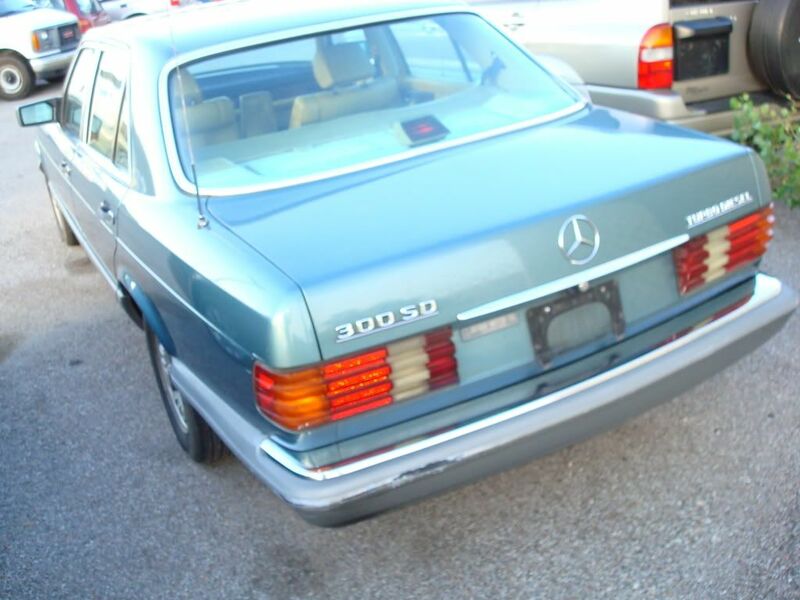 Looks like it's almost the same color as your 300D. 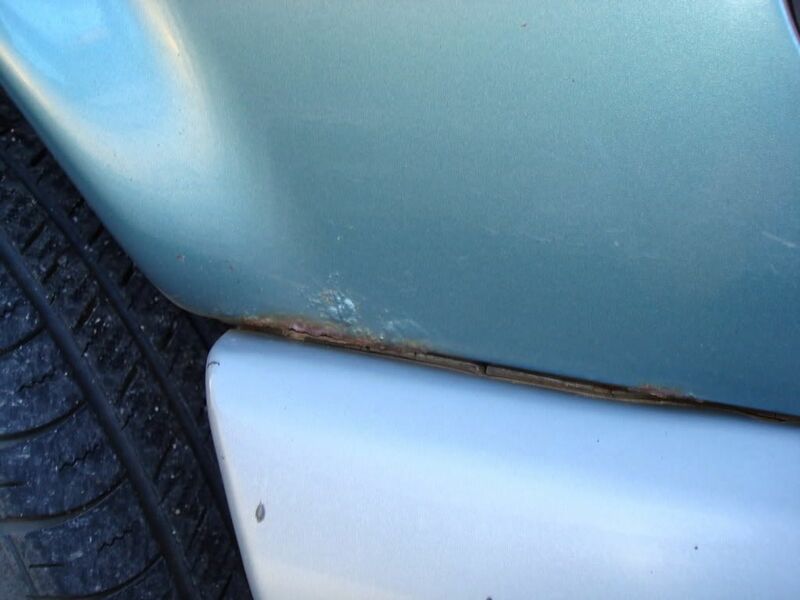 All W126's rust on the fender wings, its not a big deal. Fenders are cheap. I wish I could get better interior shots. On the dash is a plaque with the original owners names on it; the aux. tank is from a California company. Oh, and the receipts. I wasn't exaggerating about being filled to the brim. It is the same color. Found 1 more picture. Depends on the oil cooler lines.